Search and rescue operation at Gayari Sector is being carried out round the clock. Plant equipment is suffering breakdown due to extremely weather conditions. Work on all indentified sites is in progress. Ground penetrating Rader Team took readings at 24 different points and indentified four of these for further probe. 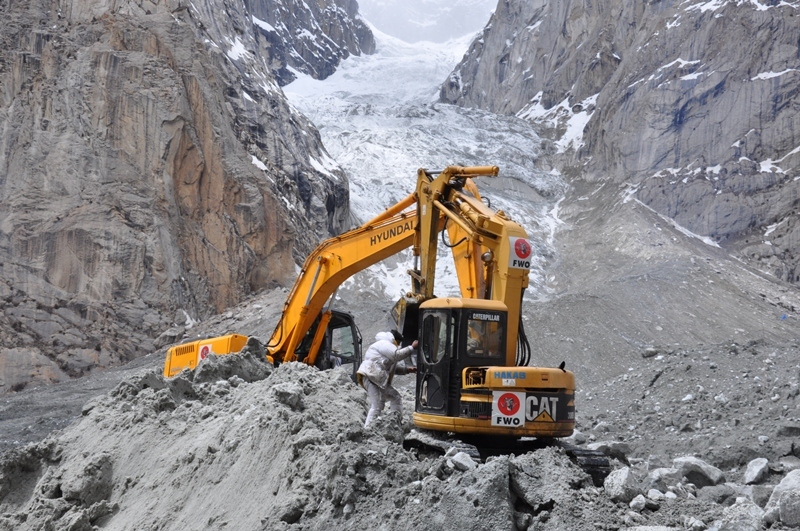 Army Survey Group of Engineers team has completed the topo survey of the avalanche including water channel. 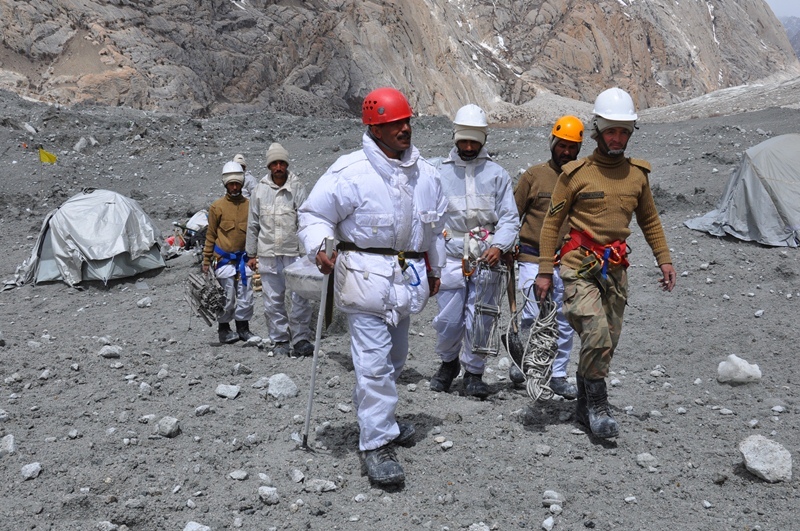 view of ongoing Rescue Work by Pak Army at Gayari Sector Siachen. This entry was posted in ISPR Press Releases, News and tagged Gayari, Gayari Sector, ISPR, Pak Army, Rescue oepration, Siachen, Siachin. Bookmark the permalink.